We’re all about keeping things OG especially when they’re vintage BUT when you have two gremlins for children destruction happens. 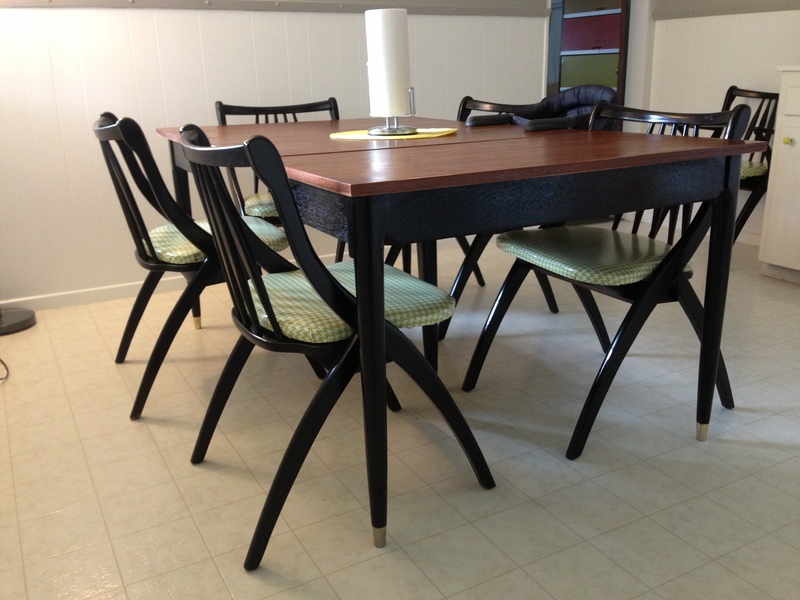 We inherited a very cool mid century dining room table with leaves. 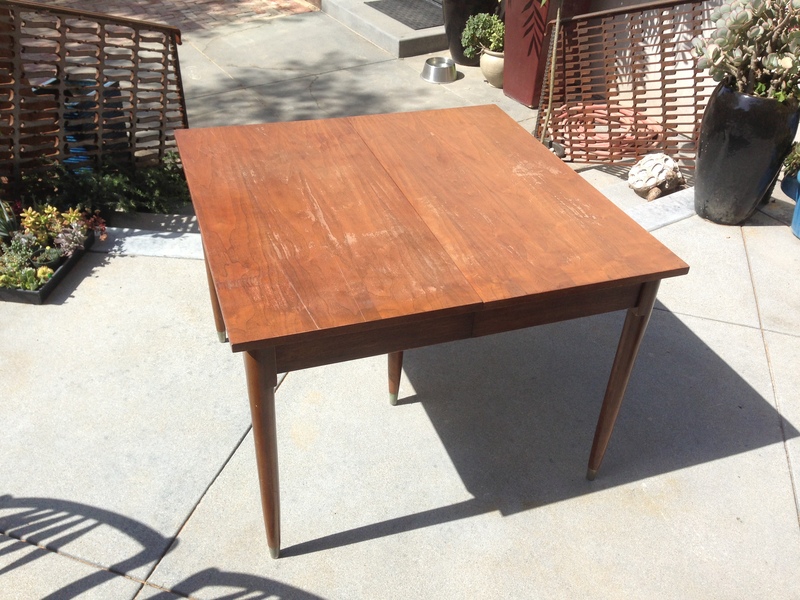 The table had been previously painted/stained so it had lost its true Mid Century character so we didn’t feel too bad refacing it. 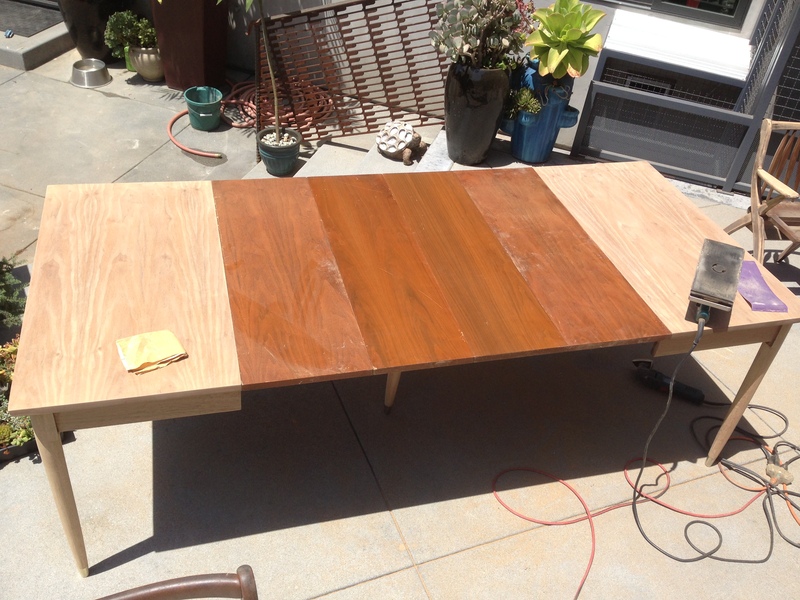 -The first step in refinishing a table or anything is to CLEAN IT. TSP (Tsp Cleaner Compound – 1 Lb. – Trisodium Phosphate) or just soap, water and a 3M pad. 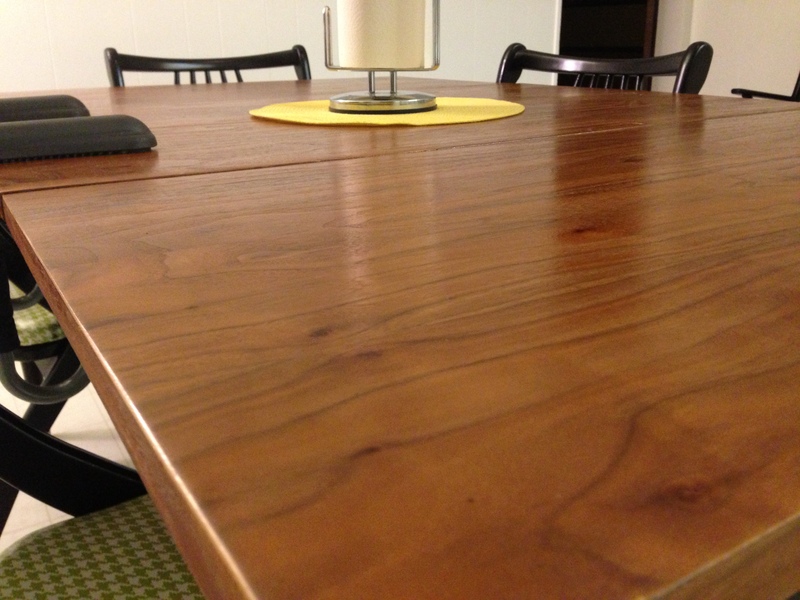 -Once the table is clean dissemble the piece as much as possible. -Now the work begins. 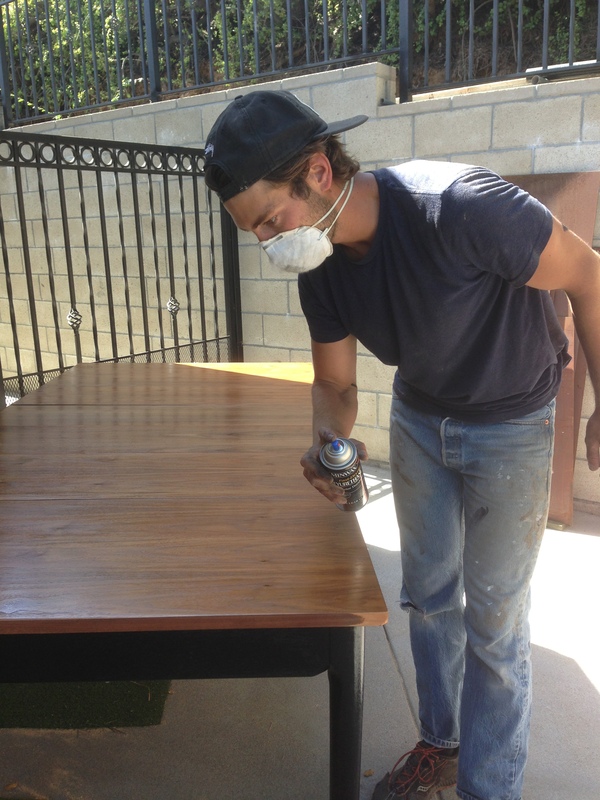 If you’re just applying a new coat of paint you can lightly sand the surface with a high grit sand paper like 220. 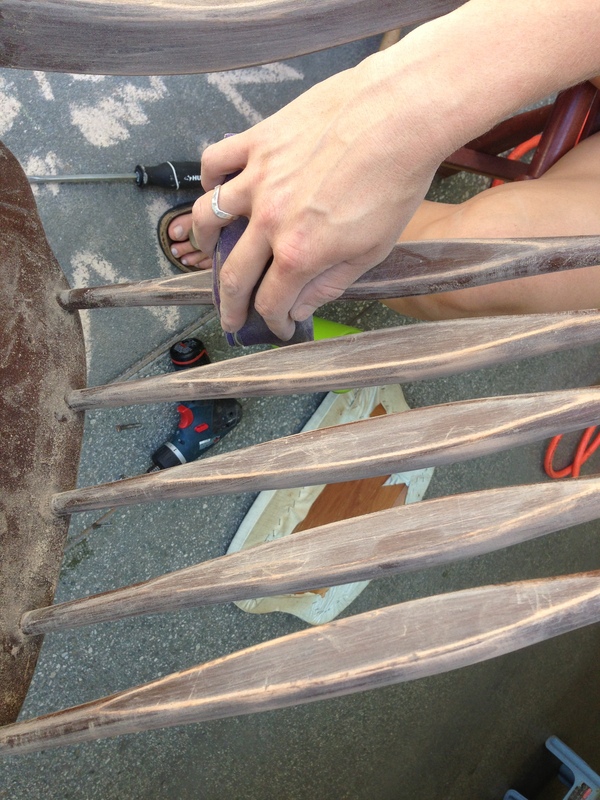 If there is varnish or any other finish on the piece you will either need to use a stripper (3m 10101 Safest Stripper Paint And Varnish Remover, 1 Quart) or a whole lot of sanding starting with a low grit sanding paper (like 60 grit) and work your way to at least a 220 grit. Something to keep in mind when sanding furniture is to make sure it’s solid wood. If it’s a plywood or veneer be sure you don’t sand through the first or top layer. 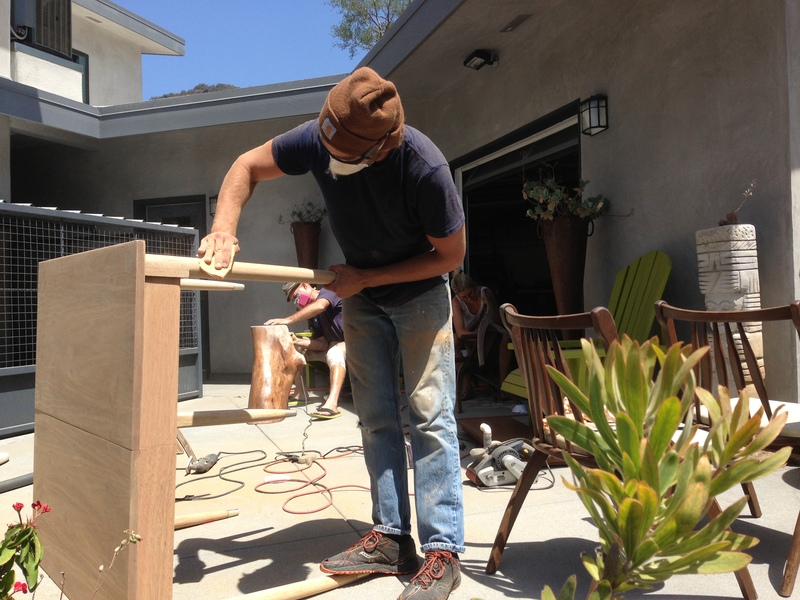 -Once sanding is complete you are ready to paint, stain or Varnish. In my opinion spraying is king. Spraying over brushing always comes out looking more professional. 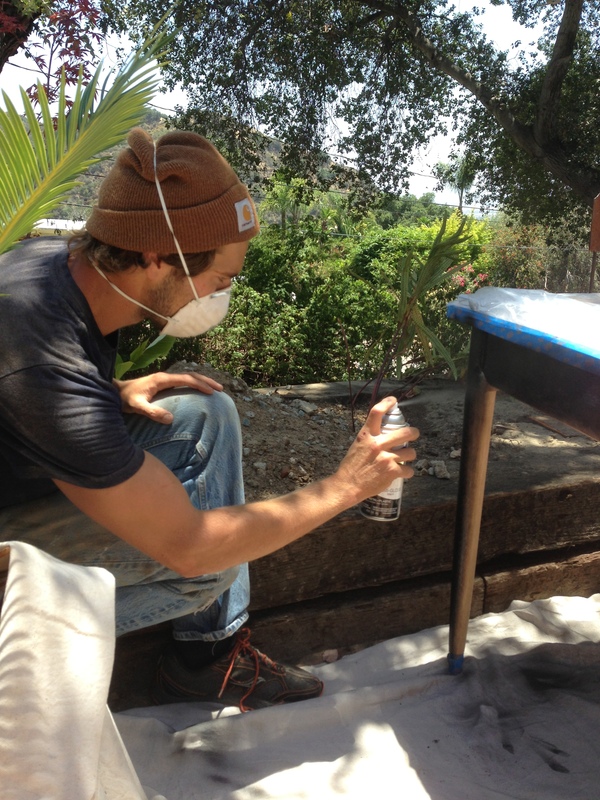 These days spray paint comes with primer already added in which is awesome and saves time. 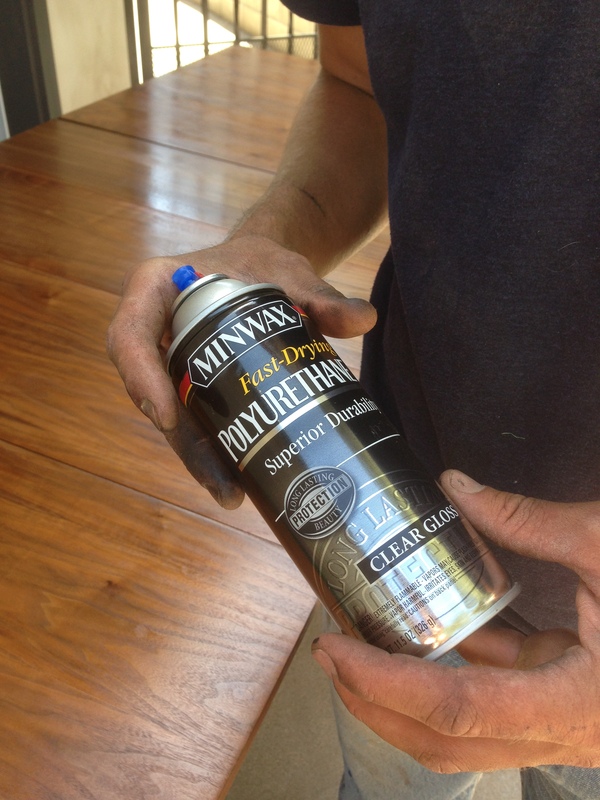 If you’re going with a varnish, polyeurathaine Minwax 33050 11 5 oz Aerosol Gloss Polyurethane Finish works really well. -If you’re using Polyurethane, apply multiple coats and make sure to sand between coats with a very light grit like 400. Wow – love this. 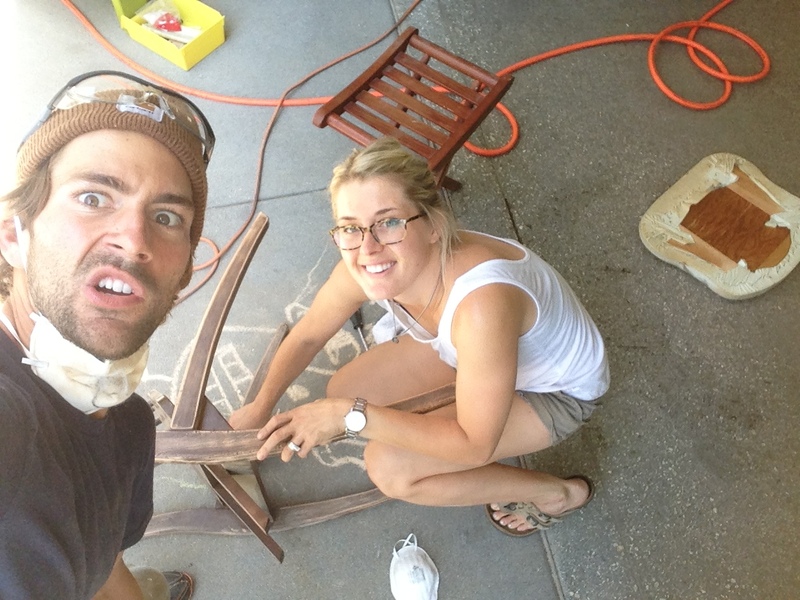 Totally going to try with our table at home! The table is beautiful! Mom & Dad would be very happy to see how your love & care created a new heirloom.